#8 - You’ve Found the Most Active List now What? The key to placing winning day trades for me over the years is finding the stocks with the highest liquidity and decent percentage moves. There is no better list to meet this criteria than the most active stocks for the day, which when you think about it is really a day trader’s roadmap for the trading day. The stocks with the most shares traded for the day, regardless of their price. So, if a 25 cent stock traded 400,000,000 million shares, it would likely appear at the top of the list. The stocks that are up or down the most, irrespective of the stock price or trading volume. This is simply taking the value of the stock and multiplying this by the number of shares traded for the day. This is the most static of the active stock lists as the same players show up on a daily basis – Apple, Yahoo, Microsoft, Facebook, etc. This provides you the list of biggest gainers/decliners for a respective index. For example, the Dow Jones, NASDAQ or AMEX. As you can see, you can track quite a few most active lists. As I searched the web, I could not find an article that described how to use these lists to make money. Well look no further; in this article we are going to cover 8 items to consider when using most active stock lists. Assuming you do not have a complicated algorithm in your trading regime, how do you determine which of these stocks to trade? Volatility is your friend as a day trader; however, there are situations where the volatility in a security can become more of a foe than a friend. For my day trading style, I only concern myself with stocks that are +/- 5% to +/- 12%. If the stock has less than a 5% move, odds are the security does not have enough juice to give me the returns I need on my investment. Conversely, if the stock is up more than 12%, the security has quite a bit of wiggle room, which will likely trip my stops or open me up to unnecessary risks. Great a stock is up 12%, but what good will that do you if the stock only trades 500 shares every 5 minutes? For my trading style, I want to see a minimum of 50k shares traded on average for each 5-minute bar. This level of volume provides me the liquidity to effectively enter and exit the trade with ease. How much volume would you like to see in your most active stocks? Most trading platforms will provide you most active lists segmented by Index. The most common segmentation I have noticed over the years is Nasdaq, NYSE, and AMEX. If it’s not obvious, take a look at the breadth and depth of the list. You will notice that the Nasdaq has the greater number of high percentage movers. I do not have a scientific case study to prove this point, but over my many years of trading, I have done best when I focused on the Nasdaq movers list. By no means am I saying that you cannot find opportunities in other indices, but focusing on one index helps me laser in on a smaller number of securities. When presented with too many trading options, I tend to go off script and put myself at risk. There are traders that can sit down at their desk right at 9:30 am and turn a profit every day. Well, I am not one of those traders. I need to get an early start, preferably by 8:30 am, to review the stocks in play for the day. 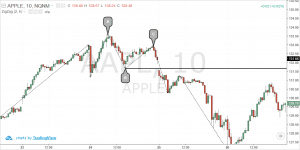 Pre-market activity is no sure indicator of how the stock will trade on the open; however, I use the pre-market hot lists to analyze a stock’s support and resistance levels prior to the craziness that commences on the open. The after hours most active is not a factor for my day trading style. As a day trader, I care about what is hot for that day and since I clear all of my open positions by noon, I would rather use the after hours as an opportunity to spend time with my family versus watching the markets. 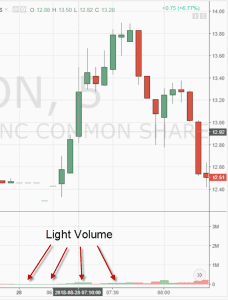 The after hours trading volume is thin and price action can swing wildly. You can quickly find yourself in a position that goes against you and you are unable to exit the trade at your preferred price. If you are a day trader, you will need to wait until the morning anyways to see how the markets will react to the after hours news event. So, studying the stock is honestly a 50/50 shot that the current trend will persist in the morning. I have observed 20% moves after hours, that by 8:30 am the next day have pulled back to just up 5%. In order to trade the most active penny stocks of the day, you really need to know the game you are playing. Volatile penny stocks will often have larger spreads and while the price movement has the potential for sizeable gains, you are opening yourself up to quite a bit of risk. Still not a believer, let us look at two of the largest penny stock percentage gainers from May 19th. MNGA as of 10:30 am was up 12.63%. Notice how MNGA had an almost double digit pullback from the morning high before trying to make another run. Would your stop loss have survived that deep of a retracement? Next up on May 19th was the stock ROSE – Real Goods Solar. 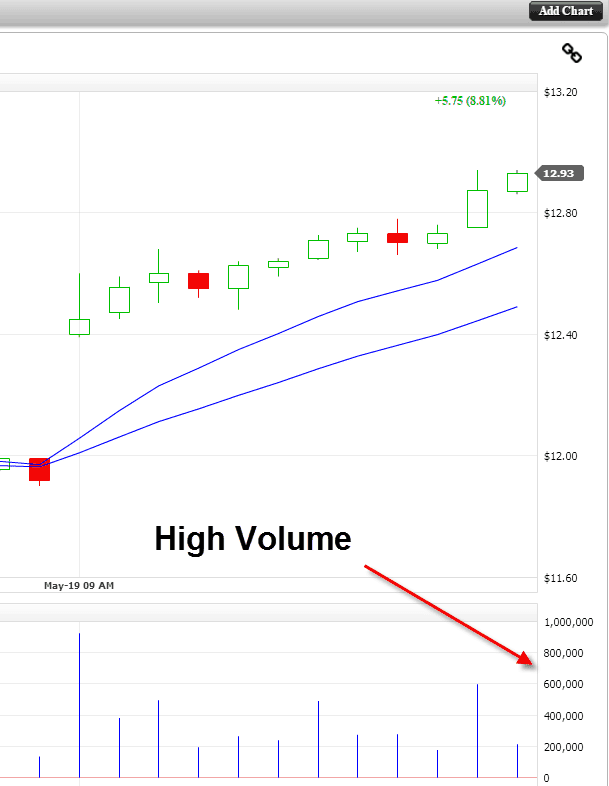 ROSE had great volume and price action, but from the looks of the chart after hitting a morning high of $3.64, the stock pulled back to under $3 dollars in less than 1 hour. That’s a 20% retracement, while still leaaving the stock up over 12% in the early part of the trading session. Would you have had the nerve and trading plan to handle such of a pullback in ROSE? 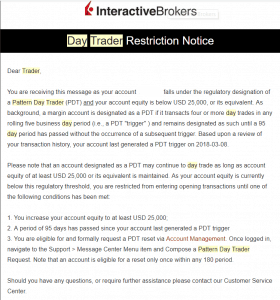 The majority of retail traders have account balances in the $50k to $250k for active trading. You should be very proud of your ability to amass this sort of equity and if you aren’t quite there yet, keep pressing on. I fully understand why institutional investors and large hedge funds care about the most active by dollar volume list, as these players need to move large sums of money in block trades. The one angle I could see for keeping an eye on the most active by dollar volume list for smaller players is to gain an understanding of the bigger trends in the market. Meaning, if Microsoft or Google are up, this could be an early indication that the smaller securities on the Nasdaq could follow in the trend of the large tech giants. I personally do not worry about this correlation as it presents more noise in my analysis and makes trading harder than it needs to be. At the end of the day, I am day trading and I am looking to trade securities that are marching to their own beat. I will first say that anyone can make money doing practically anything in the market given enough experience, practice and understanding of the underlying market mechanics. The OTC is not an area that I focus on simply because the stocks have less requirements for reporting to the SEC and are easily manipulated. In trading, one of the most important things for long-term success is the ability to identify and maintain a market edge. The effectiveness of your edge could diminish once you factor in the wild swings and low liquidity in OTC stocks. Bottom-line, there is more than enough trading opportunities to focus on in the market; you do not need to keep an eye on all 11,000 of them. 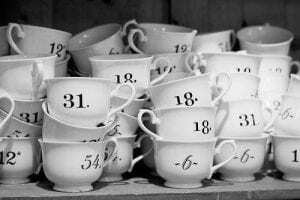 So, you have found the most active list, now what are you going to do with it? Do you have a solid trading plan that spells out exactly what’s required on your end? Are you pulling up the most active at the end of the day to see what was hot for the day or are you just looking to throw your money in with the masses? As you can see, your purpose for researching the most active list can trace to a number of reasons based on many factors such as investing time frame and your risk profile. For me, I am concerned with the most active lists for both the pre-market and in the morning from 9:30 – 10:10 based on my trading system. I have been able to determine this timeframe based on key trading performance metrics that have shown I am most profitable when I enter trades in the morning. Specifically for you, how do you know you can make money trading the most active? Without knowing you can make money with the most active list, why are you even looking at them? We at Tradingsim have a market movers widget in our trading platform which tracks the most active stocks throughout the day going back two years. This allows me to immerse myself in figuring out what setups work best with the most actives, in order for me to say definitively that these lists work for me. So, before you spend another day obsessing over what stocks were up or down the most for a given day, please first determine if you can even make money trading them. Otherwise, you are just wasting your time and money.